Today’s post title will possibly make High Yield Portfolio (HYP) advocates think I'm about to talk about Tesco’s (Ticker: TSCO) Friday action which included a 75% cut in the half-year dividend to 1.16p and a share price fall of 6.6%. I'm not though because my own HYP contains alternate Sainsbury’s so I'm not (yet) affected plus there is already plenty of good blog coverage on the topic. Instead I want to cover an important announcement that could with time save passive index investors a lot of money but which for some reason gained no MSM press inches that I'm aware of. I don’t know why but the cynic in me thinks it could possibly be because the company that made the announcement doesn't advertise heavily and that is what much of the news is today – thinly veiled advertisements. It was however picked up by the very astute non vested interest Monevator team. 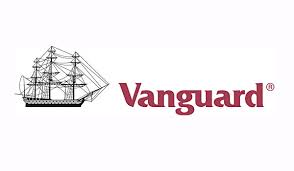 Some Vanguard UK and Irish Domiciled Index Mutual Fund’s, ETF’s and LifeStrategy Fund’s have had their investment charges lowered. I hold a lot of the Vanguard FTSE UK Equity Index Fund in my Youinvest SIPP. Ongoing Charges on that fund from Monday reduce from 0.15% to 0.08%. I hold the Vanguard S&P 500 UCITS ETF in my TD Direct NISA. Ongoing Charges on that ETF will reduce from 0.09% to 0.07%. I also hold the Vanguard FTSE Developed Europe UCITS ETF in my TD Direct NISA. Ongoing Charges on that ETF will reduce from 0.15% to 0.12%. The impact on my complete portfolio is that my annual expenses have reduced from 0.32% to 0.31%. Doesn't sound like much when expressed in that way but its £50 annually on a £500,000 portfolio and £100 if you’re lucky enough to be a member of the £1 million club. That possibly still doesn't sound like much to some but I've learnt that multiple small amounts become big amounts over long periods of time so I take it seriously given investing for early retirement is certainly a long period of time. It’s the rest of your life. A quick full disclosure while I'm mentioning HYP’s: Yesterday I added HYP share number 9 to my portfolio in the form of non-life insurer Amlin (Ticker: AML) which is currently sitting on a 5.8% trailing dividend yield. A new sector for me. Low fund charges are an important aspect of generating a decent return over the longer term and the reduced charges from Vanguard are welcome. However, I am wondering what effect will the new platform charges on the Youinvest SIPP have? There is a custody charge of £100 p.a. and a fund charge of 0.2% - max. £200 p.a. I hold the Vanguard All World Dividend ETF in my ISA with Youinvest - I have not yet checked whether the charges have been reduced - was 0.29%. Although there is the same fund charges on the ISA, there are no corresponding custody charges with shares, investment trusts and ETFs which seems a bit of an anomaly? The Youinvest SIPP charges are a real issue for me. I was always paying the £100 but the 0.2% (max £200) is new. The only small consolidation is that my SIPP is now of such a size that I'm at the £200 limit meaning I'm at less than 0.2%. Even so it is dragging my annual portfolio return. I tried complaining based on time with them, unreasonable increase etc but the reply basically said we're competitive and you can take your business elsewhere if you don't like it. For me there are cheaper SIPP providers out there but the savings are marginal. I'm keeping my eye out for when one of the lower cost SIPP's have one of their we'll pay £x for you to transfer sales. I'll make the call then depending on fund values etc. VWRL hasn't been reduced as far as I can see so you luck out on that one. BTW have you ever looked at buying VHYL as a pseudo world HYP? I'm considering it as part of a strategy to try and drive my annual dividends from 2.4% (actually I'm looking at the actual £ value) today to 3% over the next 2 or so years. - some legacy funds I can't sell for tax reasons but with time the're becoming smaller as I add new money plus reinvest the dividends more expense efficiently. - there are cheaper funds but the tracker errors look pretty inconsistent meaning to me they're not index trackers. - as the HYP grows it will continue to dilute expenses. Now at 5.9% of total portfolio. Yes, the additional platform charges introduced this year are a bit of a bug-bear but, as you say, as the portfolio grows and with additional contributions, the cap means the £200 will become an increasingly smaller percentage of the overall costs. I imagine the hassle of moving elsewhere for marginally lower charges would not be worthwhile. I hold the VHYL Vanguard ETF (not the fund) in my portfolio as a sort of benchmark against which to assess the performance of my basket of investment trusts. I am pleased to say the ITs have collectively provided the better returns over the past year.. early days though. Yes, every little helps. I'm with you on having swapped my shares of track for Sainsbury's, and am pleased about the vanguard reductions, add I have them in my sipp and my son's accounts to e.
Just found your blog, like it! "I'm keeping my eye out for when one of the lower cost SIPP's have one of their we'll pay £x for you to transfer sales. I'll make the call then depending on fund values etc." Please be good enough to give the rest of us a shout. I try and telegraph all of my key investment decisions so a move like this should certainly result in a shout. If any readers spot one of these a reciprocal shout would also be appreciated. Whether I recommend that my wife moves an S&S Isa soon depends on a certain referendum soon. Thanks for linking over to us RIT, and for the generous use of the word 'astute'. I'd settle for "sometimes astute". It was weird how there was virtually no coverage of the price cuts. Sometimes I think the media is encroaching on our coverage of cheap trackers, but then you see the nonsense they write up about some small cap or wotnot before they will mention something that could make a big difference over 20 years to the average investor.